I am available for certain speaking engagements. 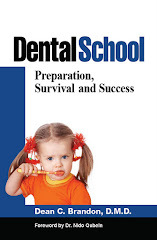 Topics may include Pediatric Dentistry (obviously), Social Media and Blogging, Practice Management and Business Development, Practice Transitions, and others. I usually speak before small to medium sized groups, but the largest was about 800 people. Yes, usually there would be a fee, especially if I have to travel or take time off my regular schedule. I might consider a discount for dental schools or charitable organizations. If you are interested, contact me at our office, via Twitter, Facebook or on this blog. Hello my 10 year old daughter is still growing her adult teeth but lately one of her top right front adult tooth is moving not a lot but it's moving an when she was younger she used to bite her nails please comment back! Is there any at home remedies or advice she could do? Well, if it's an orthodontic question, that is, eruption of teeth, the pediatric dentist or orthodontist can take a look and give you a good idea where you are headed in that regard. Thank you for replying but will the adult teeth fall out if we don't see a doctor?? Will the tooth be a serious concern?? I do not know your condition, but I have never seen permanent teeth just fall out. My 3 year old child knocked his tooth loose today, it bled a little, he cried but after few minutes he wasn´t complaining any pain anymore.I took him to a dentist the same day and the x-ray showed a fracture. The dentist told me to wait for 2 weeks because the tooth might heal on it´s own but if it doesn´t it would be best to remove it. Is there really a chance that the tooth can heal after 2weeks? Depends on the situation, but kids heal very rapidly. Most traumatized teeth need to be watched but most healing takes place in a few weeks. Thanks for the fast response. I wish I could show you the x-ray so you would have a better idea how the tooth is. What I undertood the dentist told me is like the tooth broke in two, the place where was fractured is inside the gum and lower the bone and that´s why both parts of the teeth has a chance to glue together. Have you ever seen this happen? And how much time should I give to heal? Again, thank you so much for your help. Hello, my one year old has cut two bottom teeth. But i am worried about hr top teeth i can see and feel them under the gums and seem to be painful but have had no sign of them cutting. How long should i wait before i can be concerned? and what should i do? Kids get teeth sometimes very early and sometimes very late. I see some 12 month olds with no teeth yet. The normal time to get the first tooth is 6 month old--the bottom front ones. 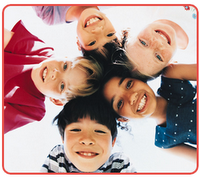 It's always a good idea to have a pediatric dentist take a look at age one. That is the American Academy of pediatric dentistry's recommended time for the first visit. If you can feel them, then it usually won't be long. Hi sorry if you have answered this before but i didnt see anything. My daughter about to be four just had her front four teeth pulled out. Now i saw that the adult teeth wilk come in sooner now correct? And if so then is there enough space for them? Or are they likely to over lap each other? Unless the use of a retainer or something is used? Well, usually the front teeth pretty much come in when they are ready whether the baby teeth are removed early or not. The only time they might come in a little early is if the new teeth were pretty close to coming an anyway, -like within 6-12 months. Crowding is a result of there not being enough space and that is usually a result of genetics--big teeth in a little mouth. A Pediatric Dentist can guide them and treat as indicated. Potential crowding can sometimes be determined with an x-ray and examination, or at least they can give you a good idea. The upper front teeth do not usually come in till age 7 so you have a while. Don't feel bad about removing teeth if they needed to be removed because of decay or something. Dear Doctor, My son is 9 years and one of his permanent upper central incisor has come but the other was not coming. The doctor did xray and suggested to pull of the primary tooth to make room for the permanent one. It has been 6 months that the primary tooth was removed and the xray still shows that the permanent one is there but not progressing. PLease suggest what is to be done in this case. Depends on a lot of things, like which tooth it is. Some teeth that get stuck or impacted, need orthodontic treatment to get them in position. Some kids are a little slow on eruption of teeth as well.